Maizuru is located in Kappabashi, the epicenter of artisanal kitchen supply stores. Maizuru has over 70 years of history and has been featured on domestic and international TV programs and magazines. Its popular for expertly crafted food samples that many visitors buy as souvenirs. 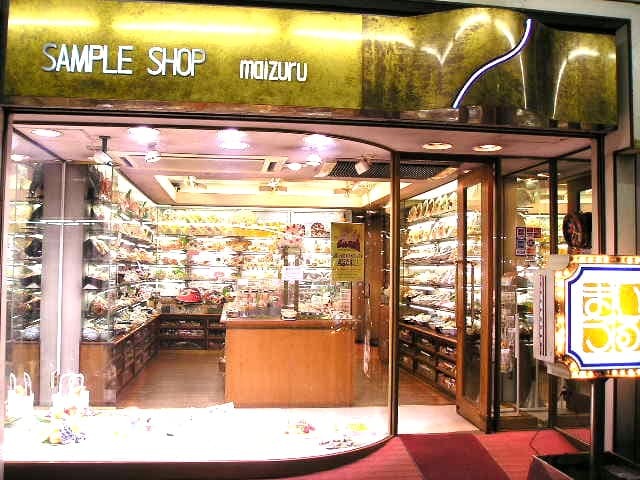 We certainly recommend stopping by Maizuru if you’re out in Kappabashi. Food samples are very popular among tourists. These samples are labor intensive and require around 2 weeks for production. Take this opportunity to admire the craftsmanship of food samples. Maizuru offers infinite variations of food samples, so you won’t have a shortage of souvenir choices. 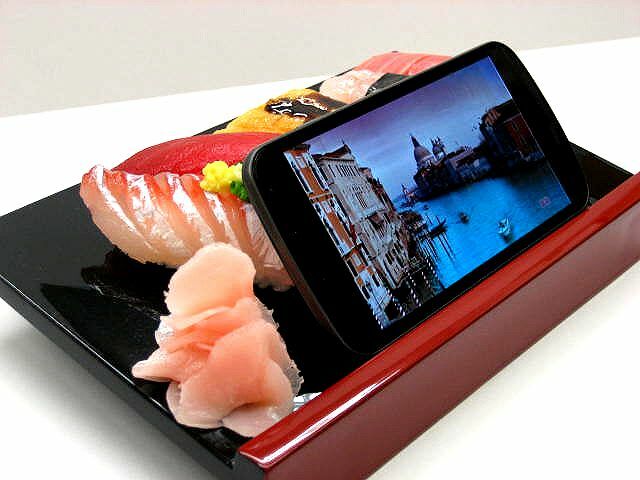 Foods such as sushi, pasta, soft-cream, and cake have been re-modeled as key straps, smartphone stands, smartphone cases, key holders, magnets, and watches. 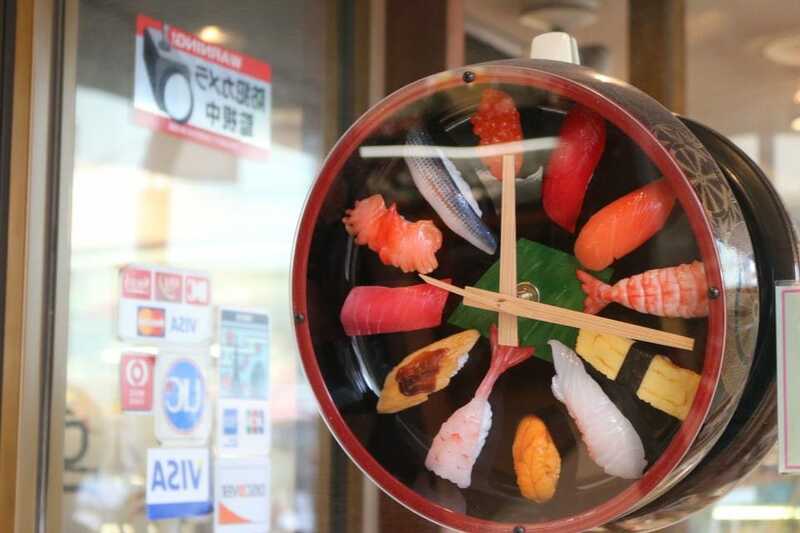 The “Sushi Clock” is so popular that production cannot keep up with demand. Smaller-sized items, such as straps with foods like sushi and macaroons, are popular amongst Japanese high-school girls. Items with beer mugs are apparently popular among tourists, who are astounded by the level of detail and realism. The realism of food samples in Japan is unparalleled, which makes for an unique gift. Examine it for yourself in Asakusa. Maizuru crafts high-quality food samples under the motto “communicating flavor through food”. Staying true to this mission, Maizuru’s food samples are so real that you cannot immediately tell if it’s plastic. The food samples brim with vibrant colors. Check out the craftsmanship for yourself! One of Maizuru’s top sellers is the iPhone case. 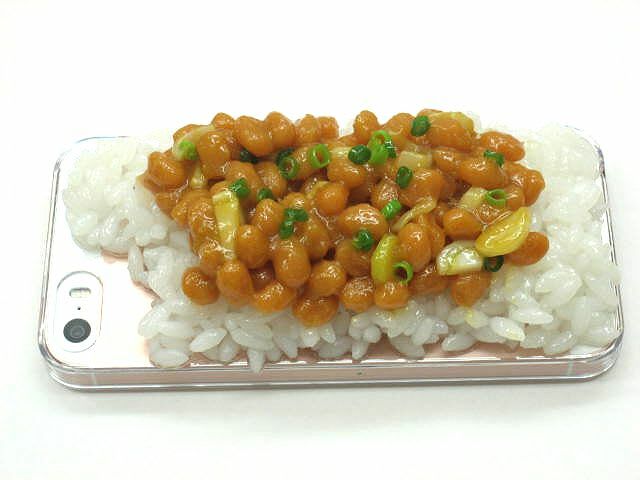 Currently, there are over 30 different kinds of iPhone cases, including eye-deceiving Neapolitan pasta and natto on rice, and Maizuru periodically releases new variations. Why not buy one as a humorous gift? At first glance, you would not realize that it’s a smartphone stand. However, once you set your phone, you’ll realize it’s perfect for watching videos. 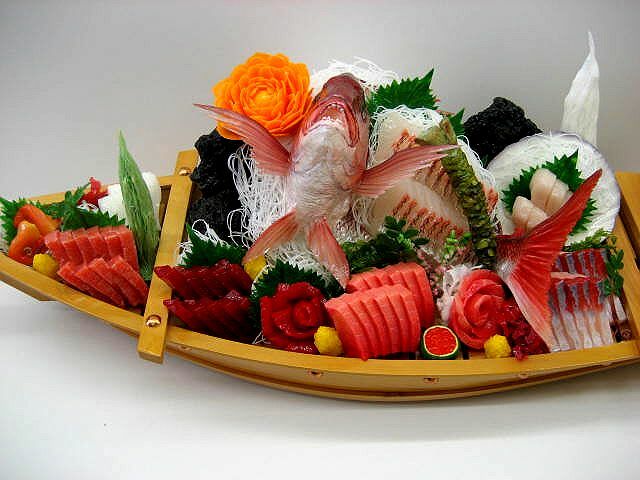 The sushi motif is certainly Japanese and makes for a great souvenir.